Amyloid deposition and beta cell apoptosis are characteristic pathological features of type 2 diabetes mellitus (DM). Islet amyloid polypeptide (IAPP) is the most abundant component of amyloid deposition. Monomeric IAPP does not form amyloid deposition, but the fibrous IAPP may aggregate and form amyloid deposits. Previous studies have shown that zinc is closely related to IAPP deposition through crosslink with monomeric IAPP into fibrous aggregates. In this study, we aimed to investigate whether chelating zinc could inhibit zinc-induced amyloid deposits and apoptosis of islet beta cell. N, N, N′, N′-Tetrakis (2-pyridylmethyl) ethylenediamine (TPEN) is a specific chelator of zinc, with membrane permeability. It could effectively reduce the concentration of intracellular zinc. So, we used TPEN to treat hIAPP-transfected INS-1 cells. By MTT assay, the concentration (1 μM) and incubation time (12 h) of TPEN without affecting cell viability were determined. The results showed that TPEN reduced zinc-induced IAPP deposition in the culture system. Furthermore, we analyzed the effect of zinc and TPEN on the apoptosis and insulin level. The results showed that TPEN could reverse zinc-induced INS-1 cell apoptosis and insulin secretion. And the anti-apoptosis effects of TPEN is related to extracellular regulated protein kinases (ERK)/c-jun N-terminal kinase (JNK) signaling pathway. 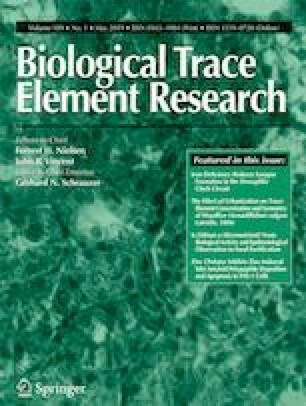 The present data indicated that chelating zinc could inhibit zinc-induced amyloid deposition and beta cell apoptosis. Thus, maintaining zinc homeostasis in islet beta cell might become a useful strategy for DM therapy. This study was supported by National Program on Key Basic Research Project (973 Program) (2012CB722405).